Ioana Cristescu presents her joint work with Jean Krivine and Daniele Varacca titled A Compositional Semantics For The Reversible Pi-calculus at the LoReL seminar on the 23/Aug/2013. 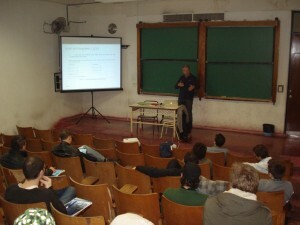 Jean-Jacques Lévy presented a course at the ECI 2013. The title was “Reductions and Causality”. Further details may be consulted here. 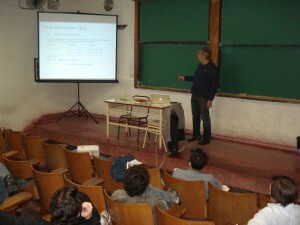 He also participated in discussions with the local group Logics and Dynamics of Programming Languages pertaining the topics of his expertise.